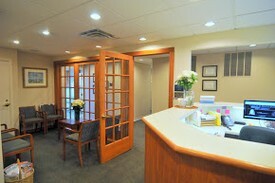 Contact Us | Greenwich Dentist Christine L. Tierney, D.M.D. The office is located in the Cos Cob section of Greenwich Connecticut. We are open Monday - Friday 7:00 AM to 6:00 PM. Please contact us with any questions or comments you may have by calling our office or using the contact form below.